Eyeglasses take a lot of abuse such as getting tossed upon countertops and into junk-filled purses, not to mention being sat on. This carelessness often results in scratches that are annoying and that negatively impact vision. If your eyeglasses are hazy due to scratches from improper care, don’t fret. 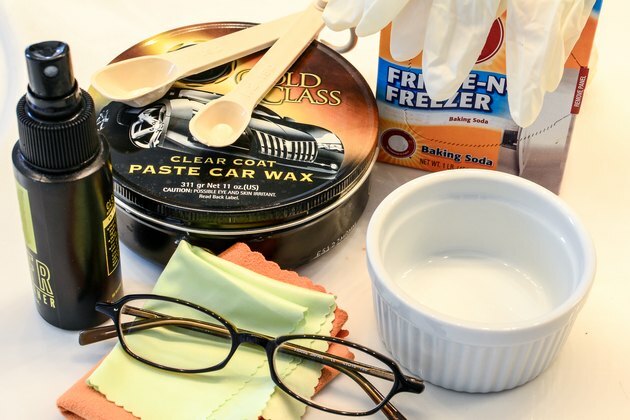 Before you make an expensive trip to the eye doctor, try some common methods to remove superficial scratches from the surface of the lenses. Wipe the front and back side of each lens gently using a microfiber cloth to remove any existing dust on the surface. 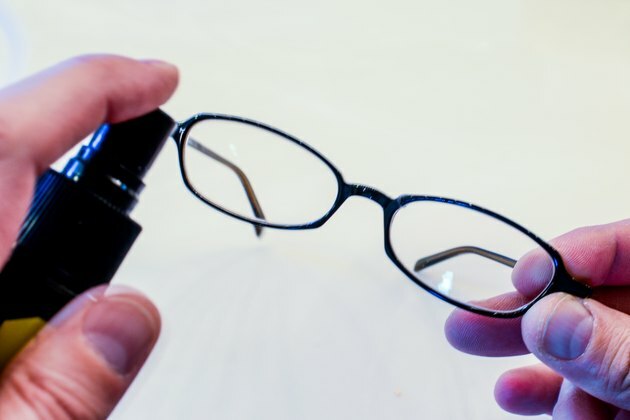 Clean off smudges by spraying the front of the lenses with one to two sprays of an eyeglass cleaning solution. Polish the lenses gently using the microfiber cloth, then repeat the process on the back side of the lenses. 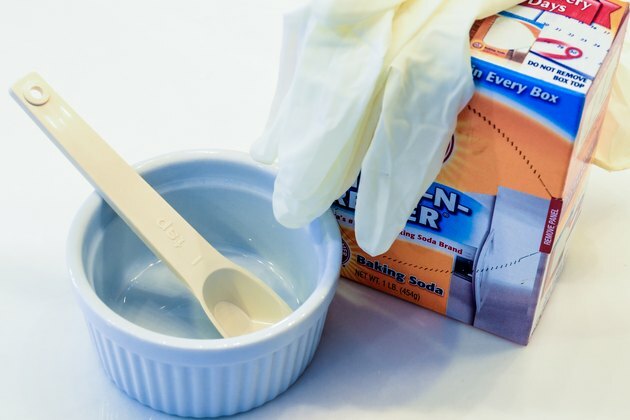 Don disposable gloves, then pour 1 to 2 tablespoons of baking soda into a small cup or bowl. Add 1 to 2 teaspoons of water slowly, and stir the mixture using your finger until a thick paste forms. If needed, add additional water to obtain the proper consistency. 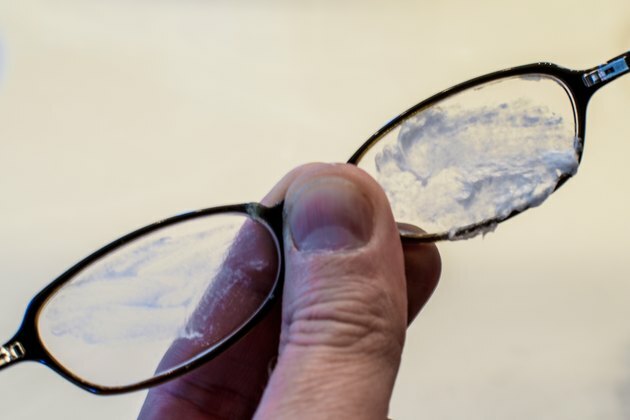 Spread a thick layer of the baking soda paste over the entire front surface of the lenses, not just the scratched areas. Polish the lenses using a microfiber cloth by moving it in small, circular motions. Apply only slight pressure as you polish the lenses. Rinse the lenses off using lukewarm water, and pat them dry using a lint-free towel. Repeat the application of baking soda on the backside of the lenses if scratches exist there. Rinse with lukewarm water and pat dry. Apply ½ teaspoon of car wax to a clean microfiber cloth. 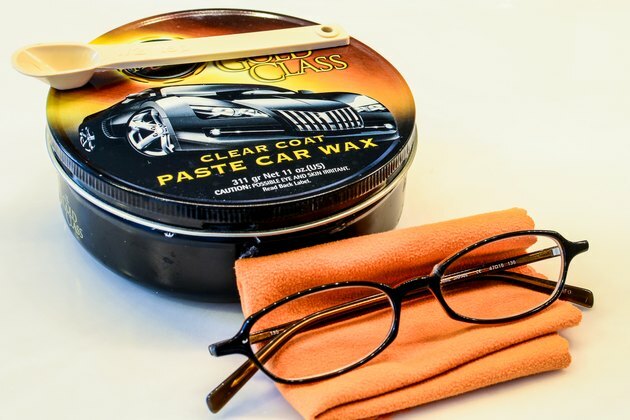 Wipe the car wax onto the surface of the eyeglass lenses using circular motions until the solution is no longer visible. Turn the microfiber cloth to a clean area, then buff the lenses to further remove any fine scratches that remain. 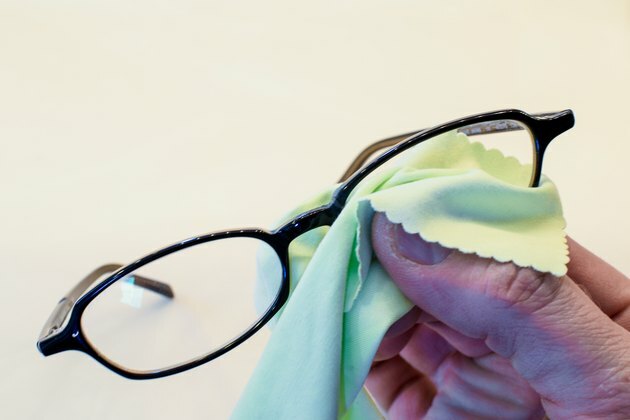 Do not use fabric or paper materials other than microfiber cloths to clean eyeglasses. These products can all scratch the lenses, thus compounding the problem. 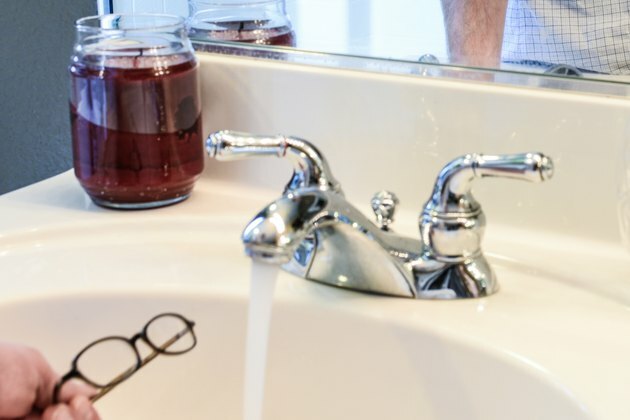 Never use household cleaners on eyeglass lenses since damage may occur. If the eyeglass lenses have a special coating on them, such as tinting or antiglare, you may not be able to remove the scratches. Visit your eye-care professional to repair scratches on these types of lenses.